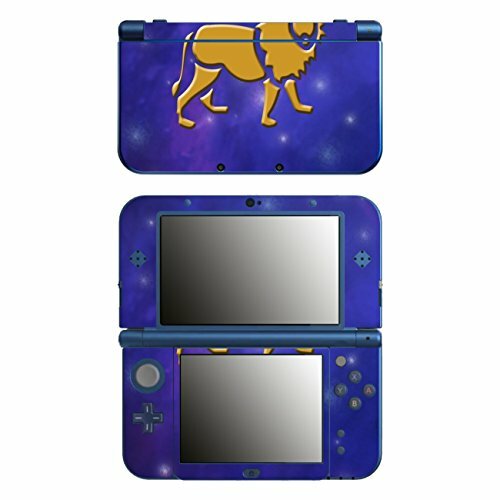 Disagu Design Skin for New Nintendo 3DS XL - motif "Löwe"
This exceptional design film makes of your New Nintendo 3DS XL something very special, a unique piece The motif, created exclusively, enriches your device and makes it a special accessory suitable for a special lifestyle! how ist the color of your New Nintendo 3DS XL. Our design film also protects your New Nintendo 3DS XL from any scratches and dust. The film itself has a transparent protective underlayer, which allows the device and the Skin Design film to keep its perfect condition. Protect your New Nintendo 3DS XL against any losses of value! The film is provided of an under layering, which makes the application installation easy and avoids any bubbles. If the first attempt should not work, just remove the film and apply it again! Our film adheres very well and can be removed without any traces. This film is produced by us in Germany and created with high precision instruments.